Look at the work of Picasso and discuss place and theme. Think about how you could tell a story using place in your portrait – include things, scenes, events, family, pets, life and death, war, disease, religion, something broken and fixed, or just a story. Think fairy tales for inspiration..
Guernica is a painting by Pablo Picasso. It was created in response to the bombing of Guernica, a Basque Country village in northern Spain by German and Italian warplanes at the behest of the Spanish Nationalist forces, on 26 April 1937, during the Spanish Civil War. Guernica shows the tragedies of war and the suffering it inflicts upon individuals, particularly innocent civilians. This work has gained a monumental status, becoming a perpetual reminder of the tragedies of war, an anti-war symbol, and an embodiment of peace. On completion Guernica was displayed around the world in a brief tour, becoming famous and widely acclaimed. This tour helped bring the Spanish Civil War to the world’s attention. 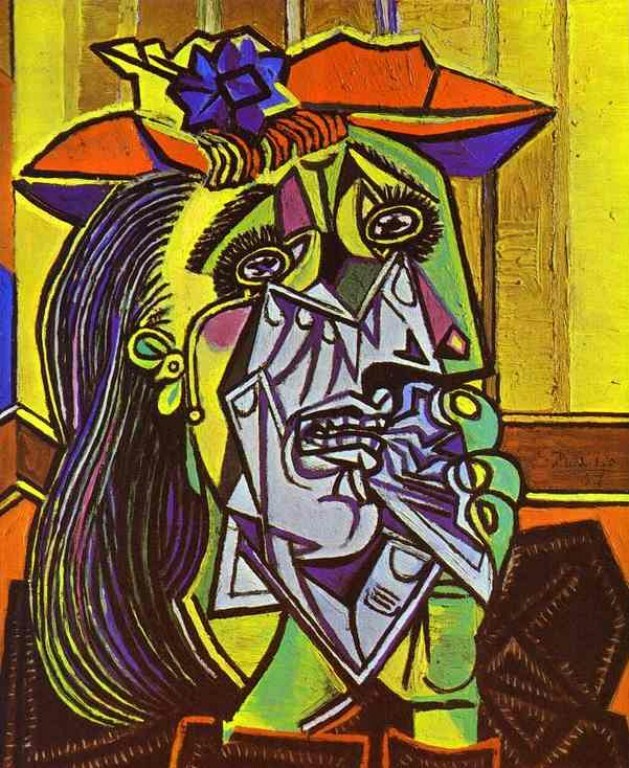 The Weeping Woman series is regarded as a thematic continuation of the tragedy depicted in Picasso’s epic painting Guernica. In focusing on the image of a woman crying, the artist was no longer painting the effects of the Spanish Civil War directly, but rather referring to a singular universal image of suffering. 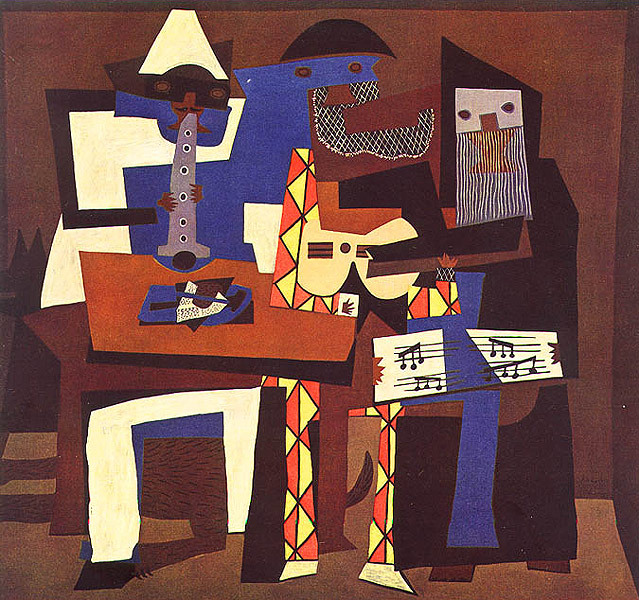 The painting features a Harlequin, a Pierrot, and a monk, who are generally believed to represent Picasso, Guillaume Apollinaire, and Max Jacob, respectively. Apollinaire and Jacob, both poets, had been close friends of Picasso during the 1910s. However, Apollinaire died of the Spanish flu in 1918, while Jacob decided to enter a monastery in 1921.